There are many things that you should take into consideration when making the decision to remodel your floor using hardwood or doing any hardwood installation. 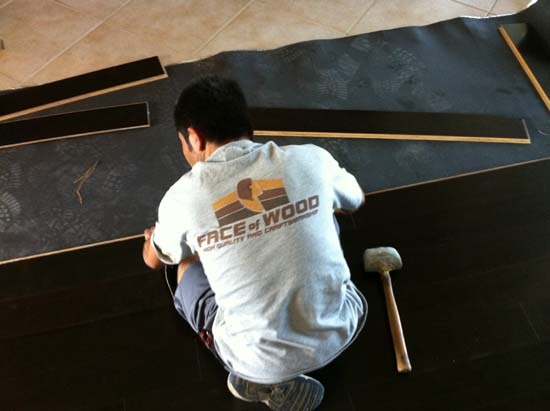 These factors are all important in factoring up the cost and the amount of money that you will need to allocate in order to handle the remodeling of your house, and should be considered before you finalize your budget for the hardwood installation. One of the main expenses that you should consider is removing any flooring that is already installed around your house to make way for the hardwood floor. Whether you have tile or carpet installed throughout your house, it will cost you to remove it to allow the hardwood floors to be installed. It costs roughly 50 cents per square foot to remove carpet, and it can cost as much as a dollar per square foot to remove tiles. These are important to factor into your cost model, as they can seriously drive up the price of the job. Another thing that you should consider is the pattern that you want. You can easily find wood in all colors, with any kind of grain or pattern that you want. The cost for each of these types of hardwood floors will have a different cost, and you should research into the kind of hardwood paneling that you want before you hire the hardwood contractor. The quality of the wood that you are going to purchase is also an important factor to consider, as the higher the quality, the more expensive the wood will be. You will want to ensure that the wood is as solid as possible, which means that the wood will be of excellent quality. A lot of the wood will be pre-finished, which will ensure that the wood lasts longer and does not scuff or scratch as easily. The finish will drive up the price even further, and you should obtain as much information as you can about the wood paneling you want.